Golf Leagues are a great opportunity for employees and people to spend quality time together out on the course. Build camaraderie, boost morale and have fun competing for prizes and, more importantly, bragging rights! 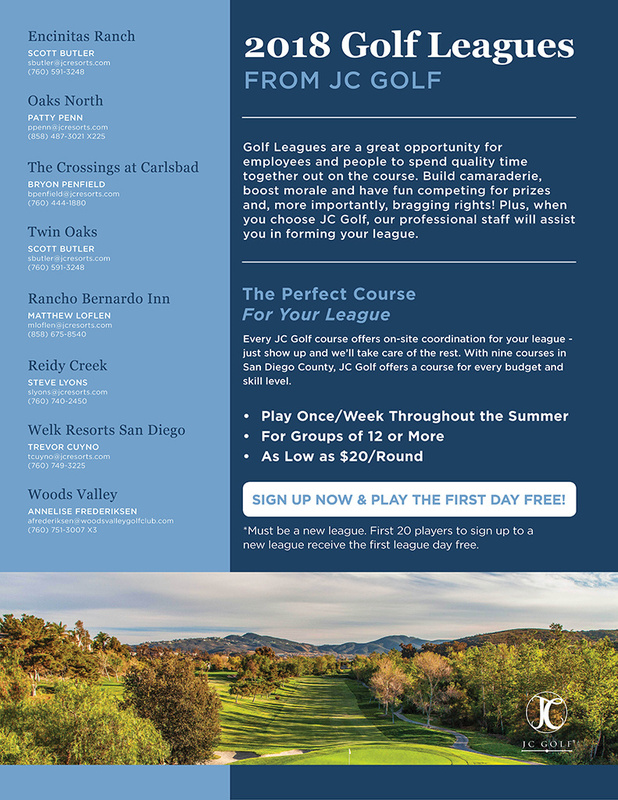 Plus, when you choose JC Golf, our professional staff will assist you in forming your league. Sign Up Now And Play The First Day Free!